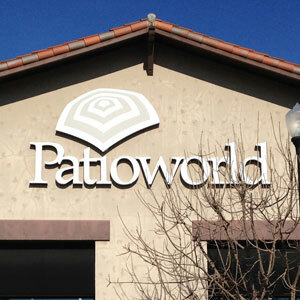 A purchase at any of our Patioworld locations should be considered an investment in outdoor living. We offer products of superior quality that will withstand the test of time, the elements, and style. The divine California weather allows us to enjoy the outdoors throughout the year – whether it’s doing some springtime landscaping, taking a dip in the pool during the height of summer, breathing in the crisp autumn air while practicing your golf swing, or relaxing with a hot cup of cocoa by your backyard fire pit in the winter. As Californians, we should take advantage of the ideal weather conditions and make ourselves as comfortable as possible in our own private outdoor spaces. 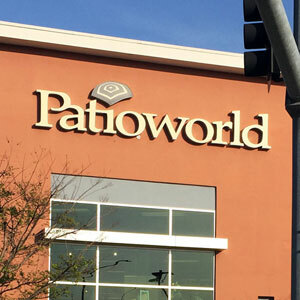 When you visit a Patioworld showroom, a member of our sales and design team will help guide you through our extensive patio furniture collections. They will take the time to learn about your needs, style preferences, and expectations. Once they have a better understanding of what you’re looking for, they will be better equipped to advise you on the best available options. After you have narrowed down your choices, they will provide you with the best possible quote, and they will allow you to take your time when coming to a decision. Again, this is an investment in outdoor living – and like all major investments, the customer should never feel pressured into making a purchase. So please take all the time you need to decide, granted that promotions and availability should be taken into consideration as well. 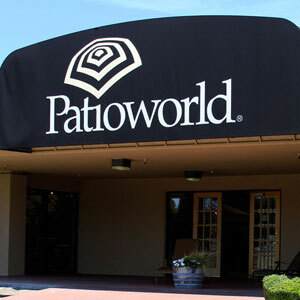 Patioworld is the destination for making your ultimate outdoor living dream a reality. 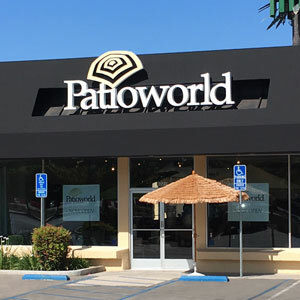 With exquisite showrooms and professional design teams throughout California, Patioworld features a wide selection of international, cutting-edge designs and everything you need to create your own luxurious and unique oasis – exclusively for you, only from us! If you want your backyard or patio to feel like a 5-star hotel, you should visit one of our large California furniture showrooms. If you want your patio furniture to truly express what California luxury living is all about, you need to come in and experience it for yourself before you make that all-important purchase. 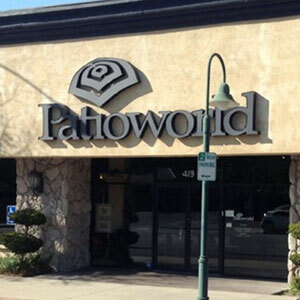 For more than 35 years, Patioworld has been actively serving California’s outdoor living needs. 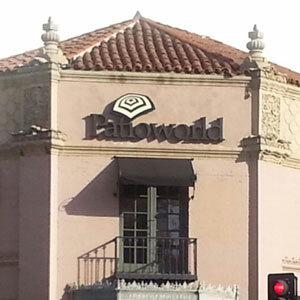 We have the largest high-end outdoor furniture stores in California. From the moment you walk into one of our stores you are transported to a luxury showroom full of furniture that will make your outdoor living space just as comfortable as your indoor living room. We all want to bring that relaxed feeling we had on our last vacation back home with us. After a visit to one of our showrooms, you will see and experience the difference between other patio furniture retailers and the luxury furniture we sell in our stores. You can have that same feeling you had on vacation right in the comfort of your own backyard. You can purchase that dreamy daybed, the pavilion you laid under, that poolside chaise you reclined on, and that fire pit you roasted marshmallows over! Come visit us and we will help you create a space that you and your loved ones will enjoy for years to come. Whether it’s for entertaining or relaxing, Patioworld will provide exactly what you need to bring the feeling of being on vacation to your own home. 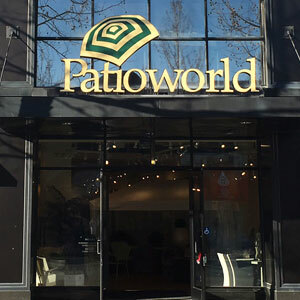 Our showrooms feature our exclusive products (manufactured under our “Patioworld Classics” line) as well as a huge assortment of product offerings from both international and domestic fine outdoor furniture manufacturers. 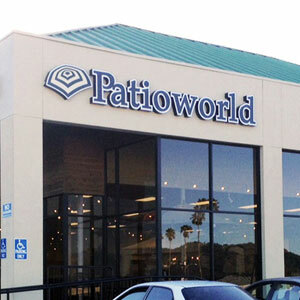 To truly experience Patioworld, visit one of our 10 locations and meet one of our outstanding space designers. 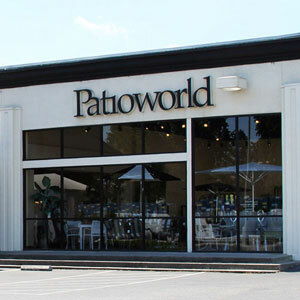 You haven’t seen how luxurious outdoor furniture can be until you’ve visited a Patioworld showroom. 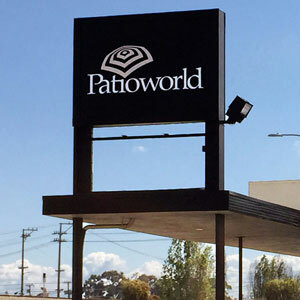 ©2019 Patioworld. All rights reserved.